FX Showreel 2018 by Sam Hiscock. Sam has recently shared his latest showreel. 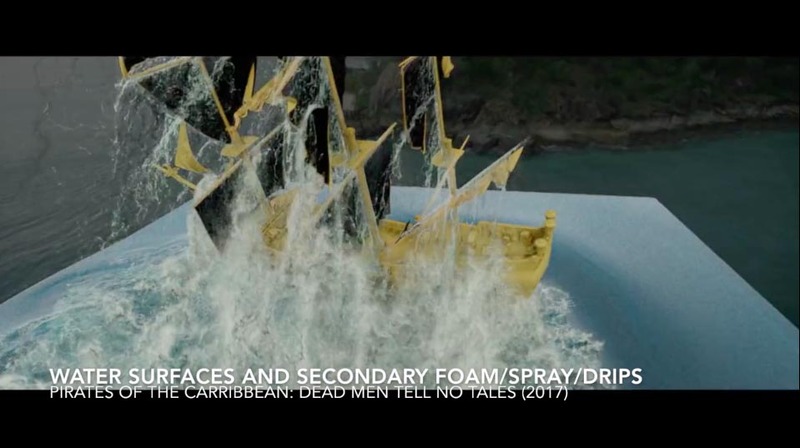 VFX shots Pirates of the Carribbean: Dead Men Tell No Tales (done in Bifrost, Flowline and Houdini) but also includes some existing work on The Jungle Book. Sam was responsible for some of the key large scale water simulations on Pirates, including helping to build setups for ship emerging shots, assisting with rendering within Katana and directly providing feedback to aid the ongoing development of Autodesk’s Bifrost within Maya. All shots were done within the FX department at MPC London.